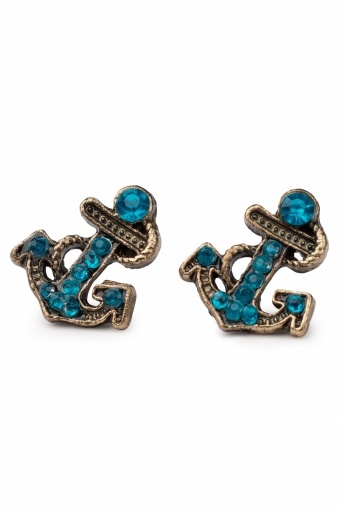 Sweet Turquoise Anchor earrings. So sweet these little earpins! 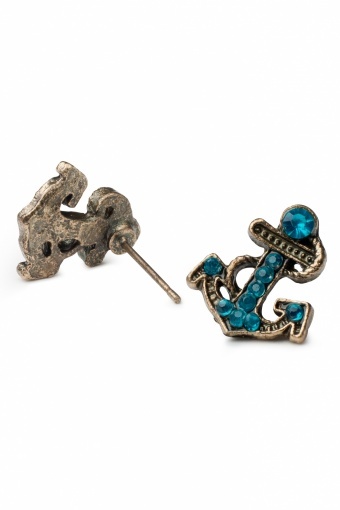 The anchor in nicely detailed in antique look bronze toned metal and decorated with rhinestones in fashionably turquoise.